Who doesn’t love a good discount? When used strategically, discounting can be your business’s best friend. The practice can entice first-time buyers who are new to your brand, encourage a lapsed customer to return to the fold or give a well-timed nudge to shoppers with items idling in their carts. But try discounting in a scattershot way – without any system in place and without proper testing – and those price breaks could become your worst nightmare. No one wants customers to be discount junkies so addicted to sales and discounts that they’ll never pay full price for your products. That’s a sure way to wreak havoc with your profit margins and your revenue growth. Having the right data and knowing how to use it can make all the difference between a destructive discounting strategy that only aims for short-term gains and a highly constructive one that boosts the lifetime value of your customers and contributes to your long-term success. It costs five times as much to get a new customer as it does to hold onto an existing one. So crafting strategies that strengthen your ties to existing customers is paramount. After all, 80 percent of future revenue will be generated by about 20 percent of your existing customer base. I’m here to tell you that you can apply data-based incentives without hurting your brand equity one bit. 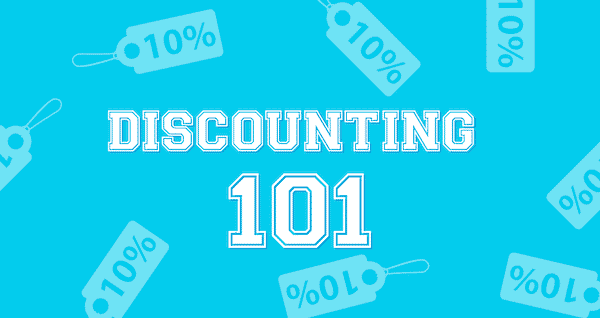 A successful discounting strategy involves careful consideration of the type and duration of any discount that you offer, followed by careful testing of that offer on small segments of your customer base. Marketers should also pay attention to the cadence of an offer – delaying a discount offer, for instance, until the third or fourth communication in a series or waiting to include the offer with a message designed to rescue an abandoned shopping cart. But most important, you’ll need to carefully document and measure the impact of those discounts down the road. • Why it’s not enough to collect data: how to design and implement testing to uncover hidden patterns among different consumer segments. • The two main categories of discounts – consumer-driven and market-driven, and how to use each to best advantage. • How to create a strategy for new customers that really works. • Variables that impact your conversion rates and what to do about them. • Protecting your brand by controlling the frequency of discounts and targeting customers carefully. • Comparing the most popular discount strategies to increase engagement with your existing customers. We’re certain that you can create a successful discount strategy with the proper data and testing procedures. Like anything that’s truly worthwhile, you’ve got to invest time, resources and energy to do it right.